The weight loss “industry” is full of myths. People are being advised to do all sorts of crazy things, most of which have no evidence behind them. Over the years, however, scientists have found a number of strategies that seem to be effective.Here are 26 weight loss tips that are actually evidence-based. It is often claimed that drinking water can help with weight loss, and this is true. Drinking water can boost metabolism by 24-30% over a period of 1-1.5 hours, helping you burn off a few more calories (1, 2). One study showed that drinking a half liter (17 oz) of water about a half an hour before meals helped dieters eat fewer calories and lose 44% more weight. Studies show that replacing a grain-based breakfast with eggs can help you eat fewer calories for the next 36 hours, and lose more weight and more body fat. If you can’t eat eggs for some reason, then that’s fine. Any source of quality protein for breakfast should do the trick. Coffee has been unfairly demonized. Quality coffee is loaded with antioxidants, and can have numerous health benefits. Studies show that the caffeine in coffee can boost metabolism by 3-11%, and increase fat burning by up to 10-29%). Just make sure NOT to add a bunch of sugar or other high-calorie ingredients to it. That will completely negate any benefit you get from the coffee. 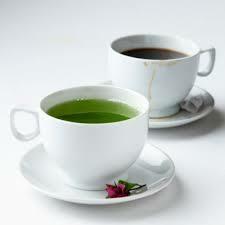 Green tea contains small amounts of caffeine, but it is also loaded with powerful antioxidants called catechins, which are also believed to work synergistically with the caffeine to enhance fat burning. Although the evidence is mixed, there are many studies showing that green tea (either as a beverage or a green tea extract supplement) can help you lose weight. Coconut oil is very healthy. 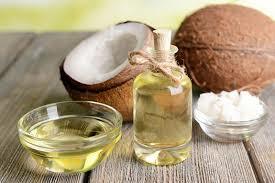 It is high in special fats called medium chain triglycerides, which are metabolized differently than other fats. These fats have been shown to boost metabolism by 120 calories per day, and also reduce your appetite so that you eat up to 256 fewer calories per day. A fiber called glucomannan has been shown to cause weight loss in several studies. This is a type of fiber that absorbs water and “sits” in your gut for a while, making you feel more full and helping you eat fewer calories. Studies have shown that people who supplement with glucomannan lose a bit more weight than those who don’t. Added sugar is the single worst ingredient in the modern diet, and most people are eating way too much of it. Studies show that sugar (and high fructose corn syrup) consumption is strongly associated with the risk of obesity, as well as diseases like type 2 diabetes, heart disease and others. If you want to lose weight, you should be cutting back on added sugars. Just make sure to read labels, because even so-called health foods can be loaded with sugar. Refined carbohydrates are usually sugar, or grains that have been stripped of their fibrous, nutritious parts (includes white bread and pasta). Studies show that refined carbs can spike blood sugar rapidly, leading to hunger, cravings and increased food intake a few hours later. Eating refined carbs is strongly linked to obesity.If you’re going to eat carbs, make sure to eat them with their natural fiber. If you want to get all the benefits of carb restriction, then consider taking this all the way and going on a low carb diet. Numerous studies show that such a diet (or “way of eating”) can help you lose 2-3 times as much weight as a standard low-fat diet, while improving your health at the same time. Using smaller plates has been shown to help people automatically eat fewer calories in some studies. Weird trick, but it seems to work. Portion control (eating less) or counting calories can be very useful, for obvious reasons. There are also studies showing that keeping a food diary and writing down what you eat, or taking pictures of all your meals, can help you lose weight. Anything that increases your awareness of what you are eating is likely to be useful. Keeping healthy food close by can help prevent you from eating something unhealthy if you become excessively hungry.A few snacks that are easily portable and simple to prepare include whole fruits, a handful of nuts, baby carrots, yogurt and a hardboiled egg (or two). 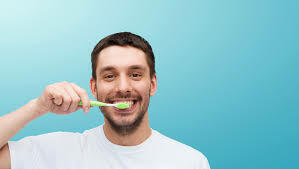 Although I’m not aware of any studies on this, many people recommend brushing your teeth and/or flossing right after dinner. Then you won’t be as tempted to have a late-night snack. Spicy foods like Cayenne pepper contain Capsaicin, a compound that can boost metabolism and reduce your appetite slightly. It appears to be particularly effective to lose belly fat, the unhealthy fat that tends to build up around your organs and cause metabolic disease. One of the worst side effects of dieting, is that it tends to cause muscle loss and metabolic slowdown, often referred to as starvation mode. The best way to prevent this from happening is to do some sort of resistance exercise, like lifting weights. 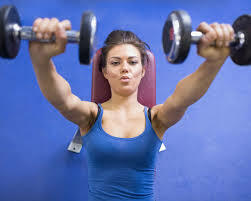 Studies show that weight lifting can help keep your metabolism high, and prevent you from losing precious muscle mass. Of course, it’s not just important to lose fat. You also want to make sure that what is beneath looks good. Doing some sort of resistance exercise is critical for that. Fiber is often recommended for the purpose of weight loss. Although the evidence is mixed, some studies show that fiber (especially viscous fiber) can increase satiety and help you control your weight over the long term. 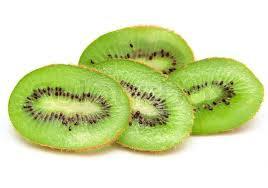 They contain few calories, but a lot of fiber. They are also rich in water, which gives them a low energy density. They also take a while to chew, and are very filling. Studies show that people who eat vegetables and fruits tend to weigh less. These foods are also super healthy and nutritious, so eating them is important for all sorts of reasons. It can take a while for the brain to “register” that you’ve had enough to eat. Some studies show that chewing more slowly can help you eat fewer calories and increase the production of hormones linked to weight loss. Sleep is highly underrated, but it may be just as important as eating healthy and exercising. 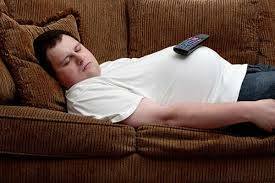 Studies show that poor sleep is one of the strongest risk factors for obesity, being linked to an 89% increased risk of obesity in children, and 55% in adults. A recent 2014 study of 196,211 individuals found that 19.9% of people fulfil the criteria for food addiction. If you suffer from overpowering cravings and can’t seem to get your eating under control no matter how hard you try, then you may be a food addict. In this case, get help. Trying to lose weight without dealing with this problem first is next to impossible. Protein is the single most important nutrient when it comes to losing weight. Eating a high protein diet has been shown to boost metabolism by 80 to 100 calories per day, while helping you feel so satiated that you eat up to 441 fewer calories per day. One study also showed that protein at 25% of calories reduced obsessive thoughts about food by 60%, while cutting the desire for late night snacking in half. This is the single most important tip in the article. Simply adding protein to your diet (without restricting anything) is one of the easiest, most effective and most delicious ways to lose weight. If you struggle to get enough protein in your diet, taking a supplement can help. One study showed that replacing part of your calories with whey protein can cause weight loss of about 8 pounds, while increasing lean muscle mass. Sugar is bad, but sugar in liquid form is even worse. Studies show that liquid sugar calories may be the single most fattening aspect of the modern diet. For example, one study showed that sugar-sweetened beverages are linked to a 60% increased risk of obesity in children, for each daily serving. Keep in mind that this applies to fruit juice as well, which contains a similar amount of sugar as a soft drink like coke. Eat whole fruit, but use fruit juice with caution (or avoid it altogether). If you want to be a leaner, healthier person, then one of the best things you can do for yourself is to eat whole, single ingredient foods. These foods are naturally filling, and it’s very difficult to gain weight if the majority of your diet is based around them. Keep in mind that real food doesn’t need a long list of ingredients, because real food IS the ingredient. One of the biggest problems with “diets,” is that they almost never work in the long term.If anything, people who “diet” tend to gain more weight over time, and studies show that dieting is a consistent predictor of future weight gain. Instead of going on a diet, make it your goal to become a healthier, happier and fitter person. Focus on nourishing your body, instead of depriving it. Weight loss should follow as a natural side effect.